Research has shown that plaque must be controlled in order to combat periodontal (gum) disease. Furthermore, by reducing plaque, dental decay can be kept to a minimum. 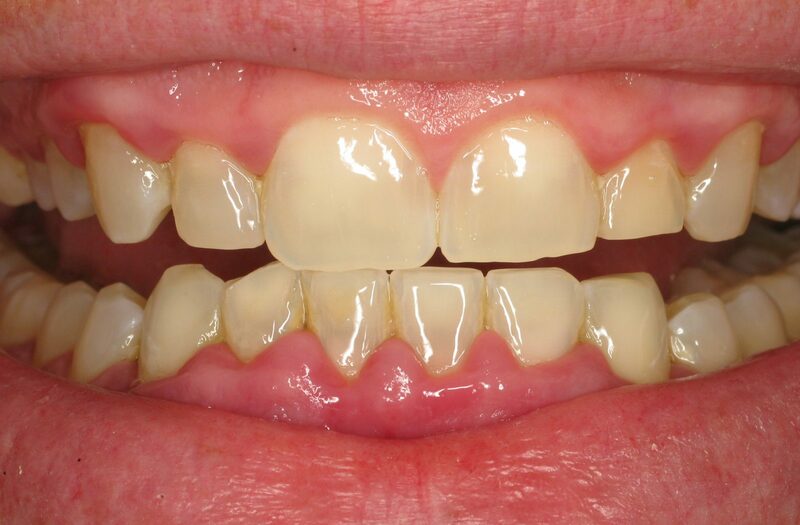 Couple a lifetime of good plaque control with fluoride supplements (which are most effective when added to developing teeth during childhood), and dental decay becomes almost non-existent. Plaque is a clear, sticky film that adheres to the surfaces of teeth, gum tissues, dental restorations, and even the tongue. It is so adherent, that it can not be washed or rinsed off, but must be mechanically removed. Plaque is neither food stuck on the teeth, nor food debris. It contains a variety of bacteria that can cause dental decay, contribute to calculus (tartar) formation, and initiate the inflammatory response associated with periodontal disease. How quickly does plaque form? Unfortunately, plaque forms soon after it is removed. Some studies report that it starts forming as soon as five minutes after it is removed. Other reports state that it can take up to four hours. Regardless of how quickly it begins reforming, effective plaque control will keep it to a minimum. That’s why we encourage brushing your teeth twice a day, plus daily flossing. 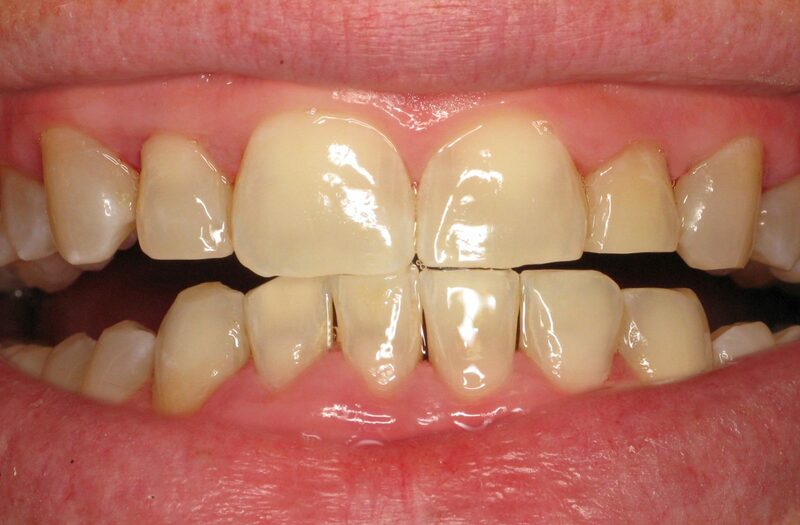 How frequently should plaque and calculus be removed? Periodic removal of plaque and calculus is the best way to control periodontal disease. At these times, the dentist/hygienist can examine the periodontal tissues to determine if new pockets have formed, or previously diagnosed pockets have gotten worse. 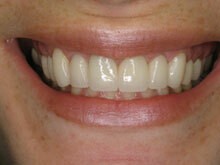 The frequency of these periodontal maintenance treatments is best determined by the dental professional treating you. Can calculus form at different rates? Definitely. Some people never form calculus while others form it in varying amounts. Some individuals notice it days after a professional dental cleaning, while others hardly form any even months later. The rate of calculus formation is not an indicator of the amount and severity of periodontal disease, nor does it indicate that an individual will ever get it. 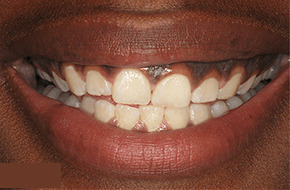 But its continued presence can always damage the gums. Can calculus form under the gums? Yes. There are two types of calculus. 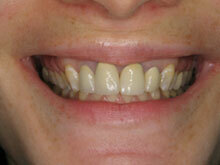 Supragingival calculus is the hard deposit on top of the teeth, the kind we can see and feel. Subgingival calculus forms below the gums. It is just as hard and adherent as supragingival calculus, but when present, is a greater concern because it forms within the pockets. This allows the bacteria to congregate in greater numbers. Though it is difficult to remove plaque formed on top of/within subgingival calculus, it is necessary to do because these pathogens cause more periodontal tissue breakdown. In some individuals, calculus forms in spite of the best oral hygiene. So what is it? Calculus is a hardened substance that comes from a combination of minerals in the saliva and from the dead plaque bacterial cells. Together, they precipitate a crusty deposit that, once mineralized, can grow rather quickly. When looked at under a microscope, calculus has all the nooks and crannies of a coral reef, and a similar number of hiding places for bacteria to hide. Left on the teeth long enough, calculus begins to irritate the gums. The gums can swell, become ulcerated and bleed, and eventually get progressively worse forming pockets. What’s the first sign of plaque affecting the gums? A frequent warning sign is when the edge of the gums next to the teeth, become reddened and inflamed, and bleed when touched. This early stage of gum disease is known as gingivitis and takes three weeks to form when all oral hygiene measures are suspended. Gingivitis is a reversible condition. 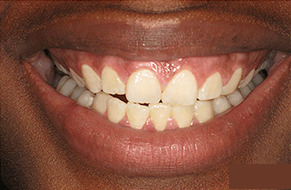 With diligent flossing and toothbrushing, gingivitis usually disappears. Left untreated, it can progress into periodontal disease. Periodontal disease is defined as the formation of pockets (loss of gum attachment to the teeth) and the loss of bone that supports the teeth. Periodontal disease is a chronic disease that can result in tooth loss. In fact, periodontal disease is the main reason adults have teeth removed. No. The rate plaque forms and what it’s made of, varies from individual to individual. In fact, it varies in different parts of the same mouth. Studies have shown that plaque affects each of us differently…some are more susceptible to the bacterial components in the plaque than others. That’s why individuals have different healing responses to periodontal treatment.